Last night's UFC show on FOX on paper promised great action, and largely delivered. But the promise of great fights didn't resonate with the audience. 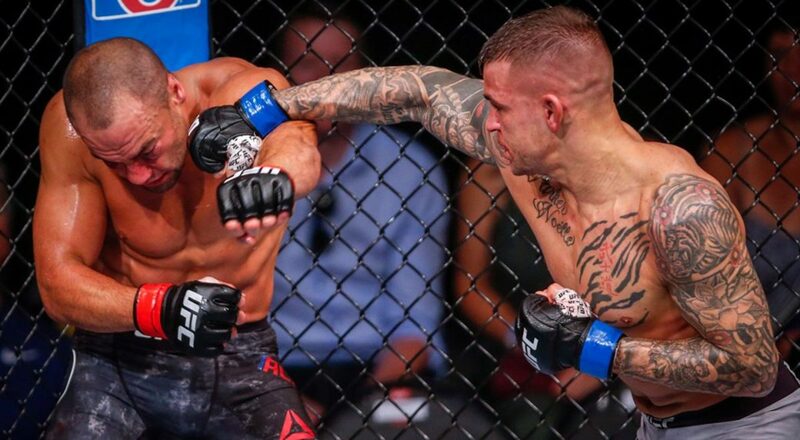 The show, headlined by Dustin Poirier's second-round stoppage of Eddie Alvarez, did 1,461,000 viewers on the fast nationals, the lowest in the seven year-history of UFC on the network. While FOX did win the night in the key demos, overall 18-49 (0.6 rating) and 18-34 (0.4), as well as dominated in men's demos, the other three major networks had rerun programming on and still beat FOX for overall viewers. The fast nationals measure FOX from 8-10 p.m., Eastern, 7-9 p.m. Central, and 6-8 p.m. Mountain time, but also measures 8-10 p.m. Pacific time because networks stagger prime time for more West Coast viewing. However, for a live sports event, the Pacific time zone would be measured based on what programming the local stations aired from 8-10 p.m. In addition, the main event ended at about 10:10 p.m., meaning most of the match was not measured. Still, no UFC on FOX has ever done less than the 1,593,000 fast nationals number for the Ronaldo "Jacare" Souza vs. Derek Brunson show in January, and this show was considered far stronger, although July is a much tougher month to draw. There were three big matches on the main show, with Jose Aldo's first-round win over Jeremy Stephens and Joanna Jedrzejczyk's decision win over Tecia Torres. The number has to be a huge disappointment for a card that featured Alvarez, with a long history of great fights and being a former champion in both UFC and Bellator, Aldo, one of the greatest fighters in UFC history, and Jedrzejczyk, who was considered a superstar as the longtime strawweight champion.